As part of its Music Strategy 2013 -2018, the Arts Council of Northern Ireland has established a forum to specifically focus on the development of the traditional music sector in the region. 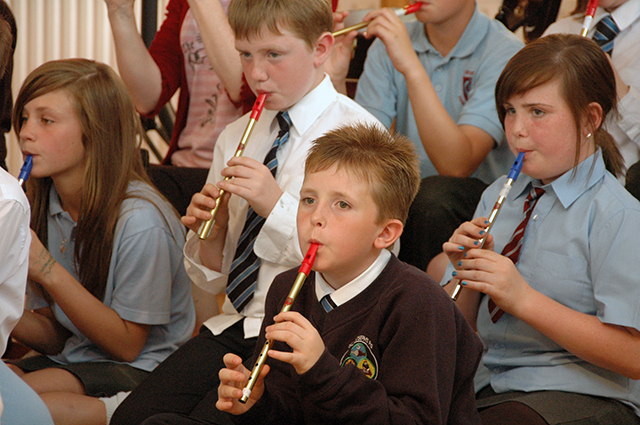 Bringing together a number of traditional music organisations, the aim is to explore the sector’s own aspirations and proposals for development, and encourage these organisations to advocate for the inclusion of traditional musics in Northern Ireland’s formal music education provision. In addition to the setting up of the Traditional Music Forum, the Arts Council’s programme of support also involves the commissioning of a full audit of traditional music to inform both future planning and advocacy for increased support. Dermot McLaughlin has been commissioned to undertake this audit in Northern Ireland. Dermot, a native of Derry-Londonderry, is well known traditional fiddle player and broadcaster. He is currently Chairman of the Irish Traditional Music Archive which he helped establish in 1987. Dermot's professional involvement with traditional music includes his role as Traditional Music Officer with the Arts Council (Dublin), record producer with Claddagh Records and writer & presenter with RTE television. The inaugural meeting of the new Traditional Music Forum will take place Thursday 16th October, 10am - 11.30am in the Ramada Encore, St Anne’s Square Belfast. For more information contact Maria McAlister mmcalister@artscouncil-ni.org or 02890385200.